The non-oil private sector economy in Dubai strengthened in January, encouraged by faster expansions in total activity and new business, along with a slight hike in employment. The seasonally adjusted Emirates NBD Dubai Economy Tracker rose to 55.8 in January, signalling the strongest improvement in the GCC emirate’s business climate since June 2018, versus 53.7 in December, according to a recent survey by the UAE-based lender. The survey highlighted that the wholesale and retail sector was the strongest performer with 56.3 in the first month of 2019, followed by the travel and tourism sector with 54.1. Meanwhile, the headline index for the construction industry registered 53.8, changed modestly from December’s nine-month low. “The Dubai Economy Tracker has started the year on a positive footing, climbing from 53.7 in December to 55.8 in January, the highest level in seven months. 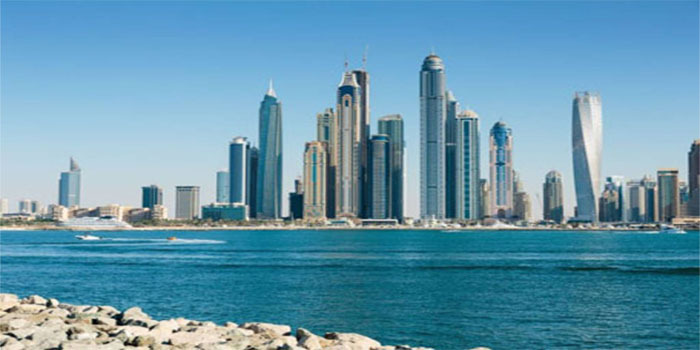 This marks a recovery from the weak growth in Q4 2018 and reaffirms our view that the Dubai economy will strengthen in 2019, owing to greater government spending and ongoing Expo preparations,” Khatija Haque, head of MENA Research at Emirates NBD, commented. The survey added that firms were at their most optimistic about future growth prospects since at least 2012. “This optimism is shared by survey respondents, which despite ongoing pressure on them, overwhelmingly expect that output will be higher in 12 months’ time. The business optimism index rose to a series high in January,” Haque added. Both output and fresh orders grew in January, contributing to the strong headline reading, the survey found, signalling a cost to firms’ margins, as output prices softened for the ninth consecutive month. Employment rose at a marginal trajectory in January as staffing slashed in the travel and tourism sector, while the construction sector recorded a stronger rate of job creation than wholesale and retail. Average input prices in the non-oil private sector advanced for the tenth month running in January, but the rate of inflation remained moderate.